Maybe you’re on the Autoimmune Protocol and you can’t eat eggs. Maybe you’re allergic. Maybe you’re just sick of all the flipping eggs you’ve been eating and ready for a change. 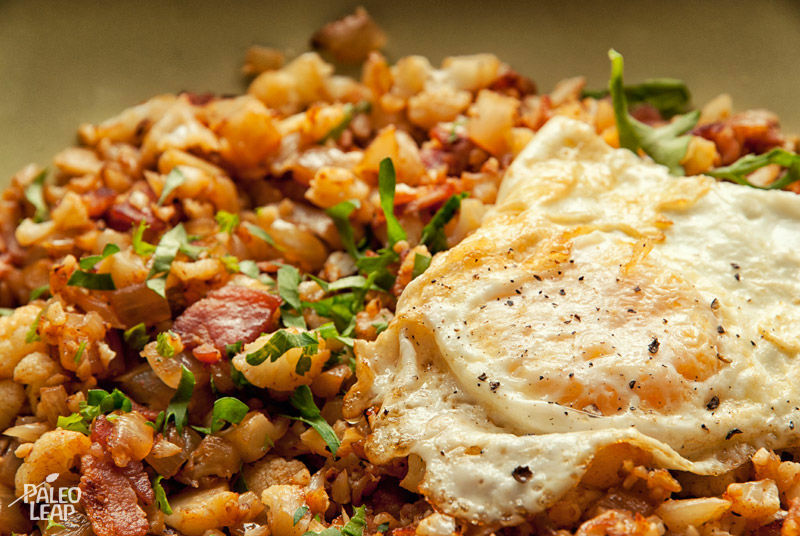 But with eggs off the menu, the question of Paleo breakfast can get a little fraught. There’s actually no reason why your breakfast needs to be any different from any other meal. The idea that some foods are “breakfast foods” and other foods are not is basically something we all made up, and the definition of “breakfast” has varied from country to country and from time to time. There’s certainly no good nutritional justification for most typical American breakfast foods (cereal, bagels, donuts, cinnamon rolls, muffins, croissants, toast with jam…). If anything, those are perfect examples of how not to start your day: with a big pile of refined carbohydrates and sugar. Nutritionally, any Paleo meal (protein, fat, vegetables, and carbs to your personal needs) is a perfectly fine way to start the day. Many people choose to just eat whatever they have left over from dinner the night before: it’s easy, it’s fast, and it doesn’t require any pre-coffee handling of fire and sharp objects. But adjusting to the idea that breakfast isn’t special can take a while. Especially when you first go Paleo, giving up all the junk food is enough of a shock – there’s no need to suddenly flip your cultural expectations of all your meals on their heads as well. Or maybe you’re entertaining guests and you want to make them feel welcomed and comfortable, not put off by a “weird” breakfast. Here’s how to make a breakfast that feels “breakfast-y” by North American standards, without eggs, and also without relying on a bunch of Paleoified junk food like Paleo muffins and Paleo waffles. Those foods aren’t bad, but they’re special-occasion treats, not something to eat every day. A solid serving of protein. A banana is not breakfast. Fruit salad is not breakfast. Avocado on Paleo bread is not breakfast. All those things can be part of breakfast, but they don’t have nearly enough protein to be a meal. A solid serving of healthy fats. The big problem with egg-free breakfasts is the protein. But you might actually have more options than you thought. It’s not always easy to find Paleo-friendly sausages at the store. If you can find one or two brands that you like, they’re great for emergencies, but there’s an easier and cheaper way to do it: DIY. You can make sausages yourself to get a huge variety of different flavors and seasonings – it’s actually really easy. You only need to futz around with sausage casings if you’re married to the idea of sausages in a particular shape; if you’re fine with sausage patties (like what you get in breakfast sandwiches), there’s no equipment or casings necessary. You can use regular ground meat to make sausage; you don’t need to grind it yourself unless you really want to get artisanal about it. Homemade sausages can run from spicy to sweet and fruity to mild and savory. You can make them with beef, chicken, pork, lamb, or any combination you like. They freeze well, so they’re great for bulk cooking because you can just pull a couple out of the freezer when you need to eat them. Of course, spicy sausage like chorizo can also be great for breakfast; pick your favorite type and enjoy! If you’re not huge on sausages or just want some other options, here are some other ideas. Homemade bacon. Bacon is obviously a classic. It’s good to not go overboard with it, especially if you have a lot of inflammation that might not play nicely with the Omega-6 fats, but there’s nothing wrong with it sometimes. Homemade ham. It’s healthier than what you can get at the store, and you can make a big batch to last for a while. 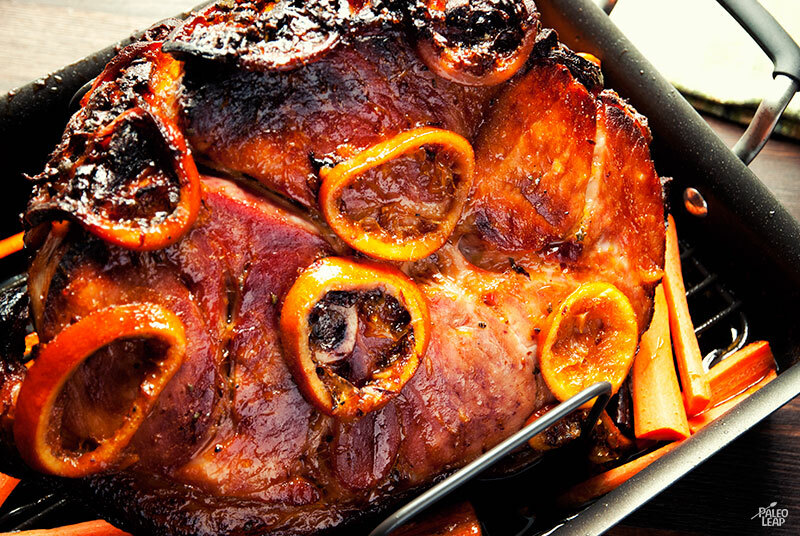 Bonus: add orange glaze to your ham for that extra citrus-y, breakfast-y taste. Smoked salmon. Serve it with apple slices instead of bagels for a sweet-salty breakfast treat. (If you do Dairy) Full-fat Yogurt. Obviously, this isn’t an option on the AIP, but if you’re just dealing with an egg allergy, then dairy might very well be on the table, maybe with some berries and honey. Intermittent Fasting/Coffee. Intermittent fasting isn’t right for everyone, especially people on the AIP or other healing diets who might not need an extra stress, but some people love it and it certainly eliminates the problem of what to eat for breakfast. One protein source does not a breakfast make. Your other choices for the meal can help make it feel really “breakfast-y.” This is also where you add those all-important vegetables and fat. Fruit: citrus fruit and melons are traditional, but berries are also delicious. Fruit Salad (here’s one with watermelon and raspberries; here’s another with grapefruit, melons, and oranges). Omelet vegetables (mushrooms, red peppers, onions…) fried up in coconut oil or bacon fat. Breakfast potatoes (if you’re not on the AIP, potatoes are fine), or white sweet potatoes prepared the same way. For a lower-carb option, try jicama or cauliflower instead. Egg-free breakfasts don’t have to rely on a bunch of Paleo junk-food imitations to feel “breakfast-y” – you do have options! The protein + vegetable + fat model is usually less time-consuming than constructing a masterpiece with three different kinds of nut flours and Paleo sweeteners, and it’s better for you, too.